OrbicularisOculi: Say WHAT? Are you calling ME a nurd? Say WHAT? Are you calling ME a nurd? Soon I will go to the alp for some skiing. It's very important that you look good in the slopes and at the after skii! My contribution, bring 40k to to the downhill world. 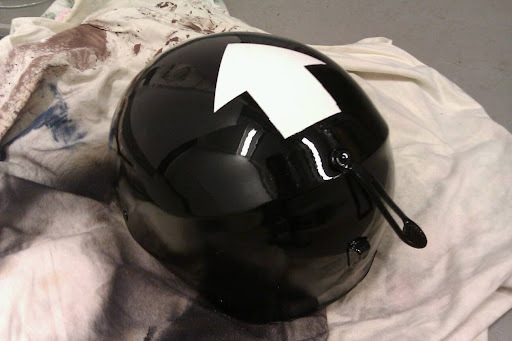 I repainted my helmet with the classic arrow, everyone would like to be a space marine. I'm a tactical! Since I didn't have any ultramarine blue I had to settle with chaos black. It's not shiny in real life. I took this pic when I just had sprayed it.